dhealth Dentistry’s approach is to provide a calm, gentle and personal, yet professional, service tailored to your specific needs. Happy Gas (or Nitrous Oxide Gas as it is officially known) can be used to treat an anxiety or fear that you might have about visiting the dentist. Whether it is a phobia, or life experiences that have created your anxiety – happy gas could be just the solution you need. During the use of Happy Gas, you will still be conscious. You will be able to listen and respond as normal and there is no memory loss. The feeling it produces is one of relaxation and sometimes a sensation of floating. Health Fund Item No*:943 (it is common for health funds not to provide a rebate for the use of Happy Gas). The procedure to administer Happy Gas is very simple. We place a mask over your nose and administer the nitrous oxide gas combined with oxygen while you continue to breathe normally through your nose. That’s it. It really is that simple. 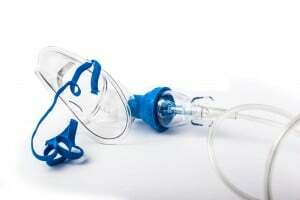 Why Use Nitrous Oxide Gas in Dental Treatments? Fast acting, Happy Gas reaches the brain within 20 seconds. The minimal sedation and pain-killing properties of Happy Gas then take effect within just two to three minutes, calming your nerves and anxieties almost immediately. The expert team at dhealth Dentistry can control and tailor the dose of Happy Gas that you need according to your requirement. We can alter the level from minute to minute, depending on how you’re responding at the time. There are no after effects when it comes to the use of Happy Gas. The gas leaves your body within two to five minutes of removing your mask. We do recommend that you bring a support driver in some cases, especially if you feel uneasy about driving after your dental treatment. There are no needles required! This can be a huge drawcard, particularly if you are scared of needles, as well as the dentist. Happy Gas has been proven to be very safe. It has no negative side effects on the heart, lungs, liver, kidneys or brain when administered correctly.